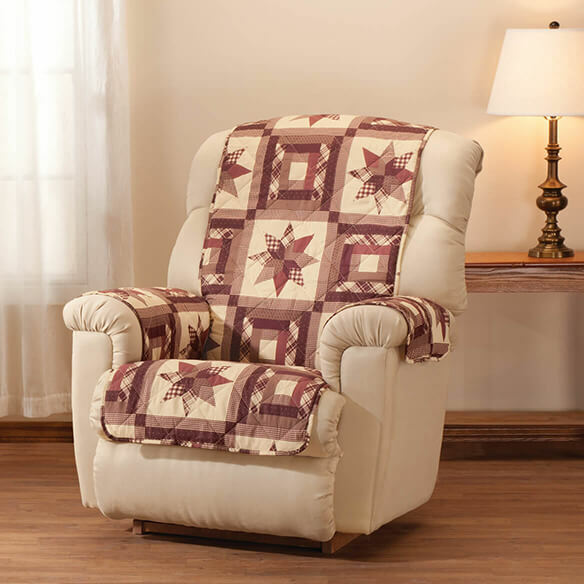 This Star quilt print recliner cover's heirloom-style quilt pattern adds a touch of vintage charm to your décor—beautifully protecting your recliner in modern microfiber. 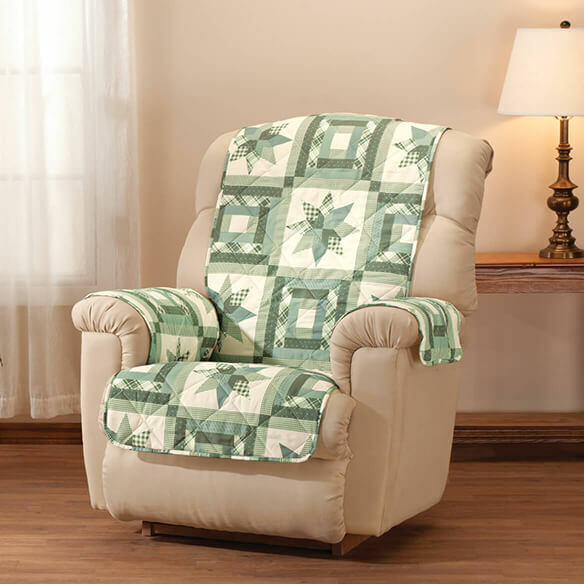 Perfect for summer or any season, the soft, breathable seat cover with water-repellent backing shields upholstery from spills, stains and wear. Extra-long back and tuck-in side panels hold it securely in place without ties, snaps or fuss—slipping off easily for machine washing. All three color combinations coordinate beautifully with our solid color furniture covers. 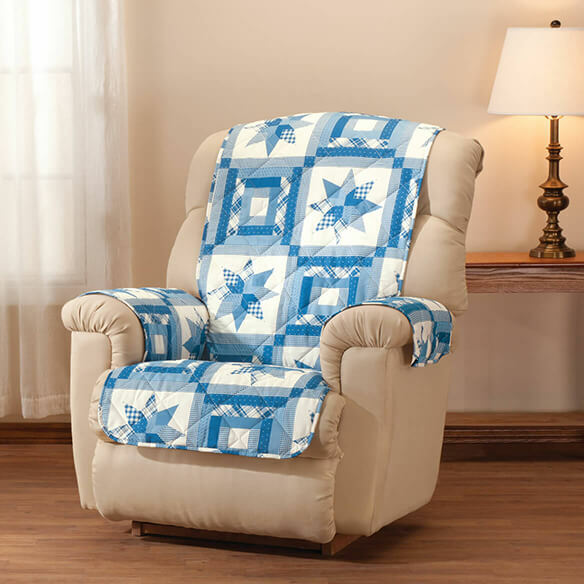 Recliner protector fits seats 30 1/2"L x 23"W, back: 48"L x 23"W. 100% polyester with olefin backing. Imported. My husband has a recliner that he won't give up. Covers it nicely and brightens up the chair. Love the pattern! It matches the one that I have an they have been very nice acomfortable wear very well.